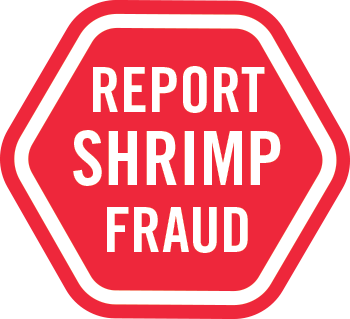 Use this form to report illegal and/or unethical sales of shrimp products, such as mislabeling, short-weighting, and wrong count. In appropriate circumstances, the Southern Shrimp Alliance will forward information to state or federal regulatory agencies. Where there is no regulation of labeling (restaurants), the Southern Shrimp Alliance will compile information regarding incorrect or false labeling in support of labeling requirements. The Southern Shrimp Alliance may also contact the business establishment directly to question identified practices. IN ALL CASES, THE SOUTHERN SHRIMP ALLIANCE WILL NOT INCLUDE THE NAME OR IDENTIFYING INFORMATION OF THE REPORTING PARTY.